Starters - How to use Makeup Brushes! This is the old packaging. 1. 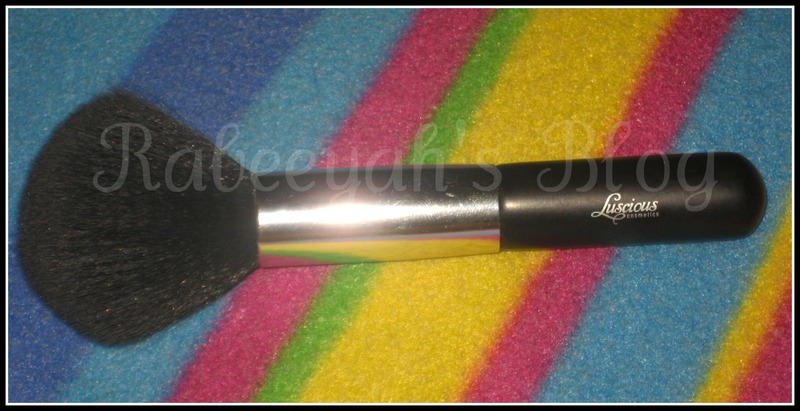 Blush / Powder Brush. 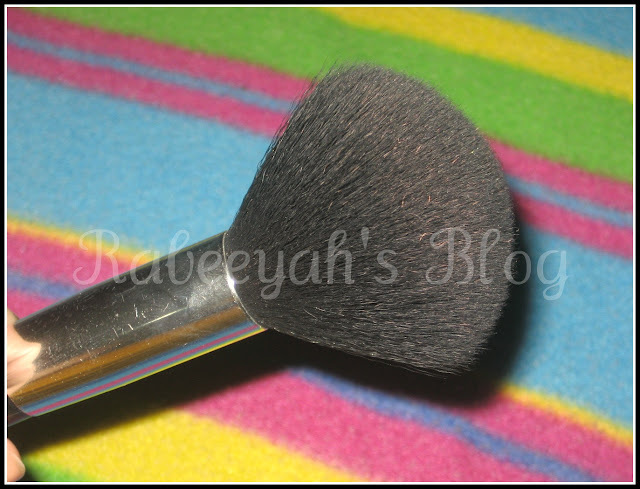 It is actually a blush brush, but it can be used as multi-purpose. You can use it to dust powder on your face, dust shimmer on your face and ofcourse blush on your cheeks. Hold the brush side ways and apply the color on the apples of your cheeks. To find the apples of your cheeks, smile and you will see them. To contour your cheeks with brown color, you have to pout to find your cheek bones. Hold the brush from the back side, do not hold it too closely. 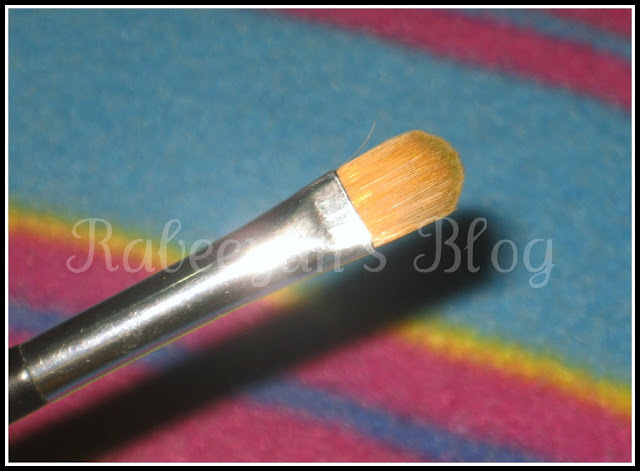 It is a flat brush, used to apply eyeshadow on your lids. Dip the brush in the color and pat it on your lids. 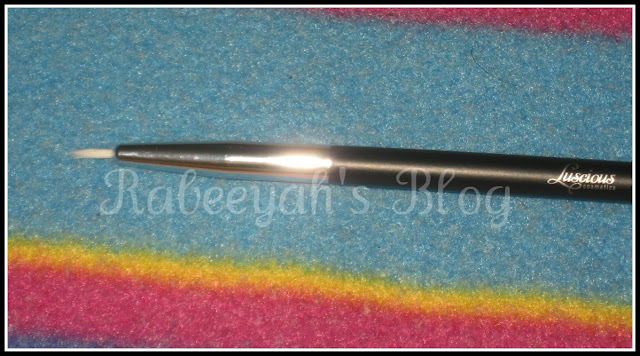 It can also be used to apply the color under the lower lash line, by taking the color on the tip of the brush. It looks dirty, because I used it once. It helps the color to blend on your eye lids so well. 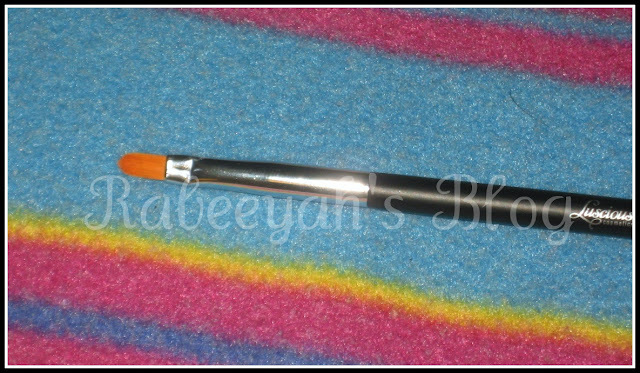 This brush helps to blend the harsh lines on the crease of your eyes, as well as you can use to apply highlighter on your brow bone or to apply color on your crease. From this kit, this is my favorite brush. I LOVE blending brushes. This brush blends the color so well. Do not blend the colors into each other too much, because it will end up looking muddy, rather than giving a blending effect. Crease is the section where you can see the shade line of the eyes, from where the brow bone starts. We apply color on the crease to give a shade and depth to the eyes. This brush is more like a pencil brush. You can be very precise with this brush. 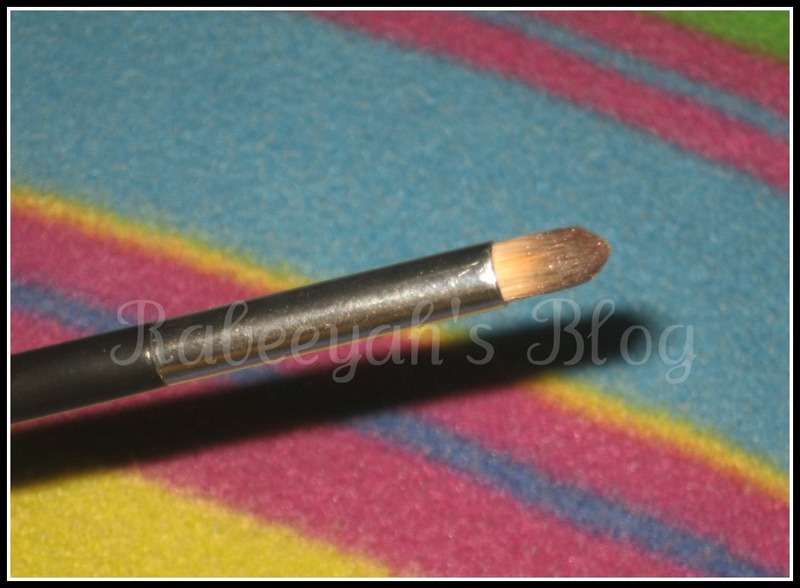 With this brush, apply the color on the outer V section of your eyes. It will build up the color on the corners more and will give a shade to it. You can apply color under your lower lash line with this brush too. Outer V section is the corner of the eyes, where you apply dark intense colors to make your eyes look a little big and for the shade and depth. Ofcourse, with the eyeliner brush you can apply EYELINER :D For those who use gel eyeliners, cake eyeliners or those liquid eyeliners which has the applicators that are not so good (tip by one of the followers), can be applied with it. You can apply very thin line with it or you can go all BOLD with it. You can create winged eyeliner or cat eyes. Anything with this brush. In the new packaging, it comes in a pink metallic retractable casing. Which is a good thing about it. What I didn't liked about this brush is that it didn't had casing over it, the plastic cover over the lip brush and also the liner brush to protect the brush. But, now they have the retractable one, which is a good thing. Why do we use lip brush? 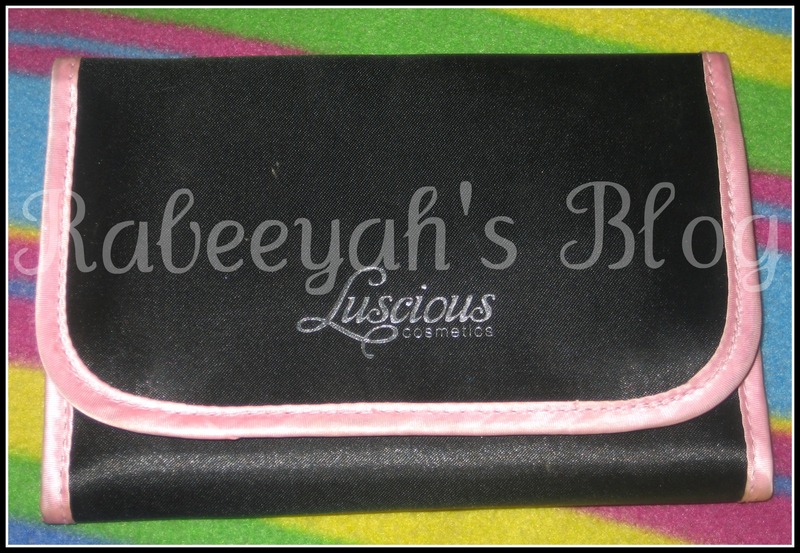 It is because it helps the lipstick to go into the corners and stays on for longer and gives a good finish to the lips. 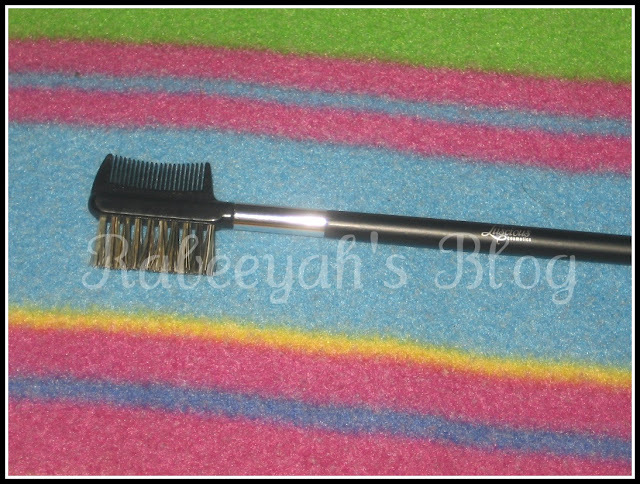 This brush is also a must have, because you need to comb your eye brows after the makeup is done. Because, eyebrows needs to be fixed too. If you don't brush them and apply pencil or brow powder to it, your makeup will look unfinished. Tip: Apply pencil or brow powder to your brows and if you don't have a brow gel, use a lip balm (little bit) and brush it with the brow brush. The brows will remain at it's place. After applying mascara, if you feel it's too much on the lashes, you can brush it out a little with this brush. If you have any questions regarding this post about brushes or anything else, please feel free to ask me. Wash your brushes after you have used them thrice. Let them in the air over-night. 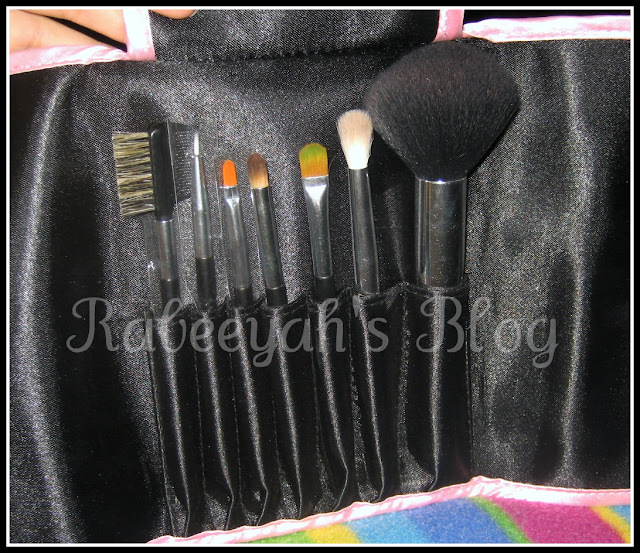 These are somethings you have to keep in mind, so that your brushes last long.